The area of south-west France includes the southern Atlantic resorts such as Biarritz, the western Pyrénées, and the massively popular Dordogne department. The latter is so popular with British buyers it has been dubbed "Little Britain". It stands to reason, therefore, that there will be good links to the UK. Apart from the northern areas of France, this is the one area where you can easily make the journey by boat. A couple of ferry companies run a service from the UK to Santander or Bilbao, just over the border into Spain. If you want to reach this area by air you will find you have a good choice of airlines and airports. The TGV runs to several stations in this area. Take your pick from Biarritz, Bayonne, Toulouse or Bordeaux. There are plenty of local train services to make connections to your destination. From Paris, the A10 will take you to Bordeaux. 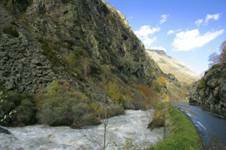 If you are heading for the coast, and Biarritz, you should follow the A63, whist the road to the ski resorts of the western Pyrénées is the D938. Hi - we are interested in using this service with our car with live animals. We need to get to the SW France in Dordogne, near Bergerac. Is this possible? If so do you have fares and time schedules please? We would be traveling in June, July or August. Thanks for contacting us, though I'm afraid we are not able to supply fares and time schedules. If you are wanting to use the Eurotunnel service and then drive down to the Dordogne, this is perfectly possible. 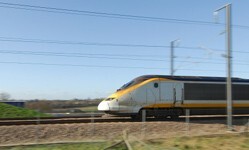 Have a look at the Eurotunnel website (www.eurotunnel.com).